A list of amazing gifts for your mother and surprisingly great gift ideas for mothers of any age. 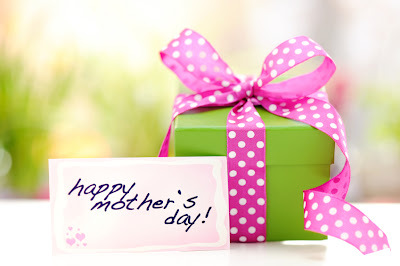 Every year for some of you Mother Day may be a challenge in matter of choosing the right gift for your mom. Here are some amazingly great ideas for gifts that every mother would like and every pocket would afford. It’s a universal formula created for all hair types and textures. Pumpkin, vanilla, clove, ginger and cinnamon would bring her great moments. 3. The compact sized, go-anywhere Sonic Skin Cleansing System would give her the glowing skin she deserves. 4. A fragrance would always be one of the best gifts to give to your mom in a special day. Calvin Klein OBSESSION is a perfume launched in the spring of 1985 and signifies true sensuality. Hints of lemon, jasmine and oak moss would give her the mood for a perfect evening. 5. EcoTools 6 Piece Essential Eye Brush Set would be the perfect gift for a mom who loves eye make-up and cares about ecology. The brushes that show respect for the earth have incredibly soft bristles with handles made of bamboo and recycled aluminum ferrules. 6. NYX Cosmetics Long Lasting Slim Lip Liner Pencils 6 Colors are made in France and can be a great gift for your mom especially if she loves make-up. 7. Another classic scent that would be an amazing gift for your mom is Burberry Brit By Burberry For Women, Eau De Parfum Spray 3.3-Ounces. It’s a marvelous blend of limes and pears, almonds and vanilla. It’s recommended for daytime use. 8. A bag would always be a great gift for any women. I’ve chosen Hobo International Briar VI-35060BLK Mini for it’s size, classical colors, material (leather), and price. 9. A piece of jewelry like Sterling Silver 8mm Light Gray Shell Pearl and Cubic Zirconia Flower Earrings would add charm and would impress any women. 10. Being lately very popular Ray Ban sunglasses meet any taste. Ray-Ban RB4125 Cats 5000 Oversized Sunglasses is a great choice for a mom that like to be in trend. 11. Let the watch remind of you. Armitron NOW Women's 753873MPGPBN Gold-Tone and Mother-of-Pearl Dial Watch is the best choice for any mom and being a classical model would meet any preferences. 12. Lockets are among the most preferred gifts for moms and I can tell you for sure that every mother would wear this Sterling Silver Engraved 4-Picture Heart Locket, 20"
Choose the gift that fits your tastes and budget and be sure that you choose the one who meets your mother’s tastes too. Have a great Mother Day!